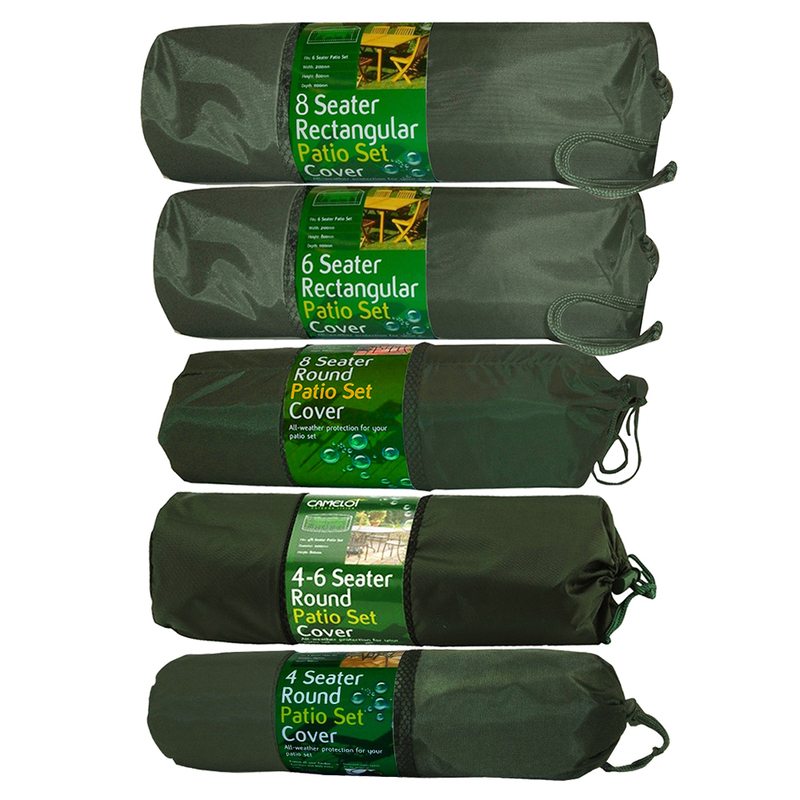 The Garden Nation Patio Set Covers offer a high performance solution for combating bad weather and protecting your furniture from UV damage, rain damage, pollution, frost damage, bird fouling, dirt and falling tree sap. 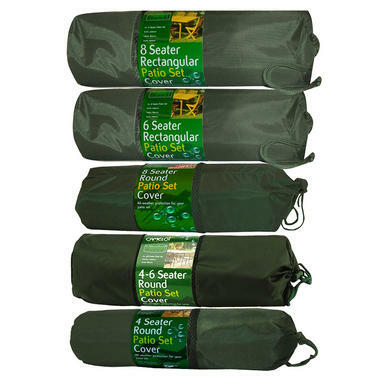 The Patio Forest Green Coloured Covers feature a ventilation flap which helps prevent condensation as well as having an insect mesh and drawstring bag for convenient and easy storage. The bag is ventilated to prevent mould forming inside of the cover whilst the cover is stored still damp. The Weatherproof Cover is made from strong yet lightweight Oxford weave polyester fabric and features high quality stitching and reinforced seams to ensure years of trouble free service. For all types of weather conditions, these covers will prevent damage to your furniture and will extend the life of your garden furniture. Round 4 Seater : Fits 163cm Diameter Table x Height: 80cm.